The United States is among the wealthiest nations in the world. But that wealth hasn’t translated to a higher life expectancy, an area where the United States still ranks thirty-eighth—behind Cuba, Chile, Costa Rica, and Greece, among many others. Some fault the absence of universal health care or the persistence of social inequalities. Others blame unhealthy lifestyles. But these emphases on present-day behaviors and policies miss a much more fundamental determinant of societal health: the state. 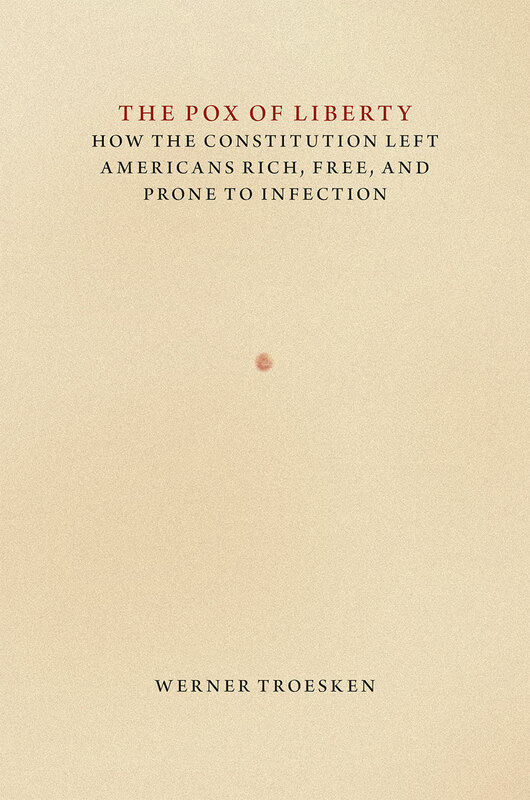 Werner Troesken looks at the history of the United States with a focus on three diseases—smallpox, typhoid fever, and yellow fever—to show how constitutional rules and provisions that promoted individual liberty and economic prosperity also influenced, for good and for bad, the country’s ability to eradicate infectious disease. Ranging from federalism under the Commerce Clause to the Contract Clause and the Fourteenth Amendment, Troesken argues persuasively that many institutions intended to promote desirable political or economic outcomes also hindered the provision of public health. We are unhealthy, in other words, at least in part because our political and legal institutions function well. Offering a compelling new perspective, The Pox of Liberty challenges many traditional claims that infectious diseases are inexorable forces in human history, beyond the control of individual actors or the state, revealing them instead to be the result of public and private choices. "This excellent book provides a deep and subtle critique of the idea that when it comes to economic development, all good things go together. Troesken neatly separates and contrasts the public requirements for debate on individual liberties and rights that is an inherent part of a healthy democratic society, with the coordinated action necessary to address collective problems, where the actions of one individual affects the circumstances of another. The two are not always in line, as the recent difficulties with vaccinations for children makes clear. An insightful and timely book." "The Pox of Liberty is the product of a daring, eclectic, and challenging mind. Troesken’s admirably interdisciplinary analysis and graceful prose will speak compellingly to a variety of audiences: economists, historians, political scientists, sociologists, legal scholars, and public health policy makers. Above all, he asks: Could it be that democracy and constitutionalism actually promote disease? Troesken’s powerful argument that Americans can’t necessarily have both the liberty and the public health that they desire and expect is an intriguing and important intervention."